Father Robert Spitzer is an incredibly well-educated and dynamic Jesuit priest who has combined his love for education with his ability to meticulously communicate Catholic truths to others through his writings, teachings, presentations, and appearances on both radio and television. He has published many books such as New Proofs for the Existence of God: Contributions of Contemporary Physics and Philosophy, Healing the Culture: A Commonsense Philosophy of Happiness, Freedom, and the Life Issues, and Five Pillars of the Spiritual Life: A Practical Guide to Prayer for Active People. Father Spitzer entered the Society of Jesus in August of 1974 and was ordained a priest in June of 1983, taking his final vows in 1992. He studied public accounting and finance at Gonzaga University and then obtained his master’s degree in philosophy at St. Louis University. Father Spitzer also studied abroad in Rome, Italy, at the Gregorian University, where he received his Masters of Divinity degree and in Cambridge, England, at the Weston School, where he furthered his knowledge in theology. Father Spitzer went on to attain his doctorate in philosophy at the Catholic University of America. Father Spitzer worked as the assistant professor of philosophy at Georgetown University in 1989, where he won the Edward T. Bunn Award for most outstanding professor at the University. He has also served as the president of Gonzaga University from 1998 to 2009, where he significantly increased the student population by 75 percent and raised more than $200 million for scholarships and capital projects. In addition, Father Spitzer has given hundreds of presentations both nationally and internationally, even speaking to members of Tony Blair’s Cabinet in London, government officials in El Salvador, officials of the Russian Orthodox Church in Russia, as well as various Catholic organizations. Father Spitzer has also appeared on popular media outlets, including Larry King Live, the Today Show, PBS, and The History Channel. Working behind the camera, Father Spitzer has dabbled in television production, creating seven television series for EWTN, such as: Healing the Culture, The Spirit of Catholic Leadership, and Finding God through Faith and Reason. 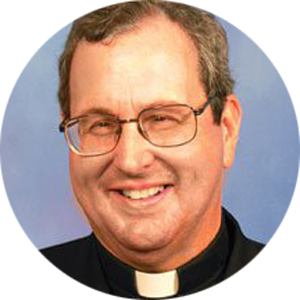 Currently Father Spitzer is serving as the president of the Magis Center of Reason and Faith and the Spitzer Center.